By all accounts, spring is on the way. Time to get out those lawn chairs and ready them for their summer workout. If scrubbing and/or refinishing lawn furniture isn’t your idea of how best to spend the first warm weekend of spring, consider going green by purchasing outdoor furniture that’s sustainable, low maintenance, and good looking. If modern is your style, Loll Designs is your answer. 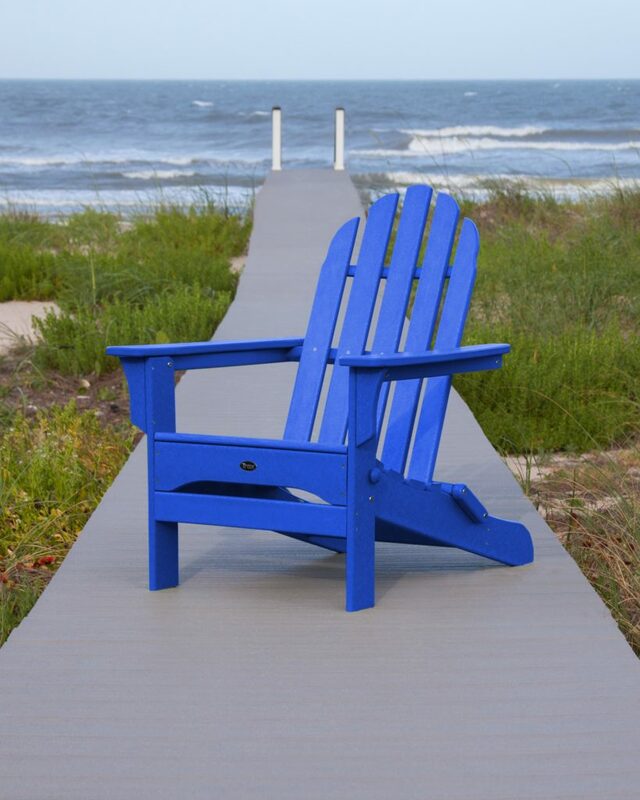 The Duluth-based manufacturer designs contemporary variations on outdoor standards like Adirondack chairs, ottomans, benches, tables, planters and more. (It also designs exclusive lines sold at Design Within Reach and Room & Board). The durable, all-weather, outdoor furniture is made of recycled plastic, mostly from single-­use milk jugs. (In fact, Loll product spec sheets tell you exactly how many milk jugs went into making each piece.) Available in colors that range from white to bright leaf green to sky blue, find Loll chairs that add a pop of color and style to your patio at Pharmacie Home Goods. By the Yard is another Minnesota maker of outdoor furniture that manufactures its line from recycled plastic milk jugs. The no-maintenance furniture—Adirondacks, gliders, benches, tables, and more in a selection of earth-tone colors—will appeal to more classic tastes. Find the furniture at the company’s showroom in Jordan. 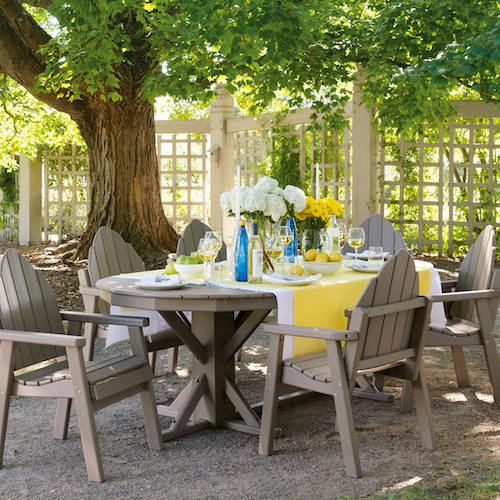 Trex, another line of outdoor furniture made from recycled milk jug lumber, added a new selection of vibrant colors to its line of traditional neutrals this season. The tropical colors include Sunset Red, Aruba (aqua), Lime, and Pacific Blue. Made by Trex, the manufacturer of eco-friendly decking, the furniture is 90-percent recycled content, durable, weather resistant, and low maintenance.